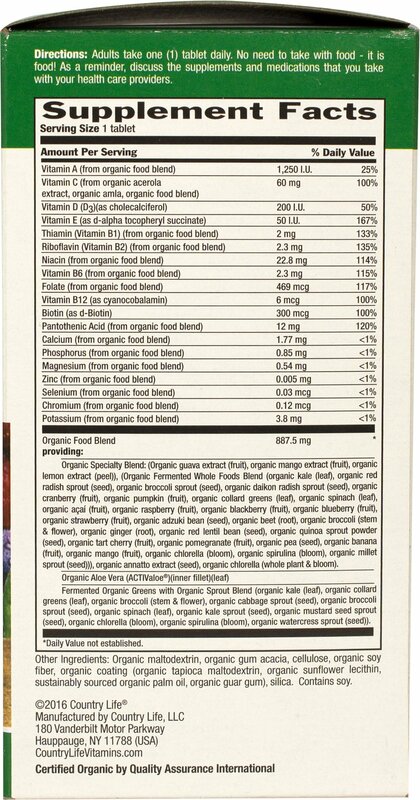 Realfood Organics® Daily Nutrition® is made from 40 non-GMO USDA organic fruits, vegetables, greens, sprouts, legumes and other organic foods. Our label contains many foods that you are familiar with (and hopefully love)! 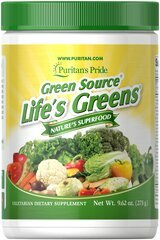 From vegetables such as spinach and broccoli, to fruits such as acai, blueberry, and strawberry, as well as greens including chlorella, spirulina and kale. 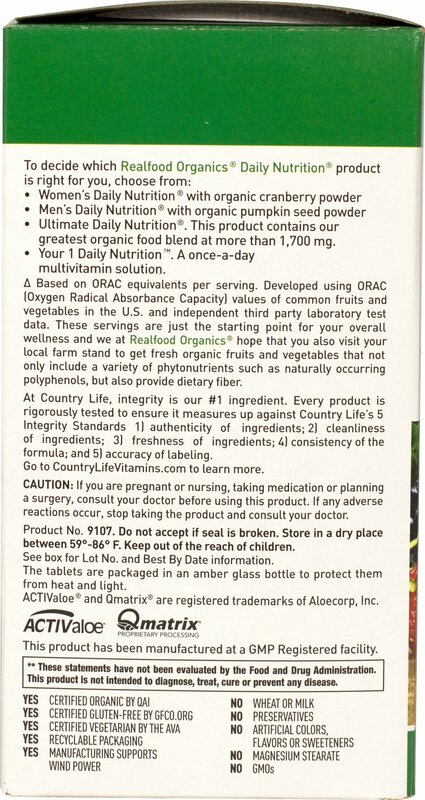 Our product also contains nutrients from lentil beans, quinoa, and aloe vera. Imagine the boxes of 40 farm-stand goodies you would need to bring home, and the food menu possibilities! 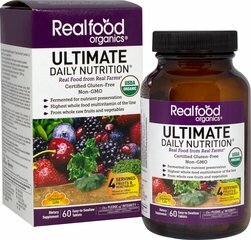 Realfood Organics® is the only USDA certified organic multivitamin line made from fermented whole foods with 2-4 servings of fruit and vegetables, in just 1 easy-to-swallow tablet. So how do we pack so much in 1 soft tablet? Nutrients can be delicate and require careful handling to retain them. 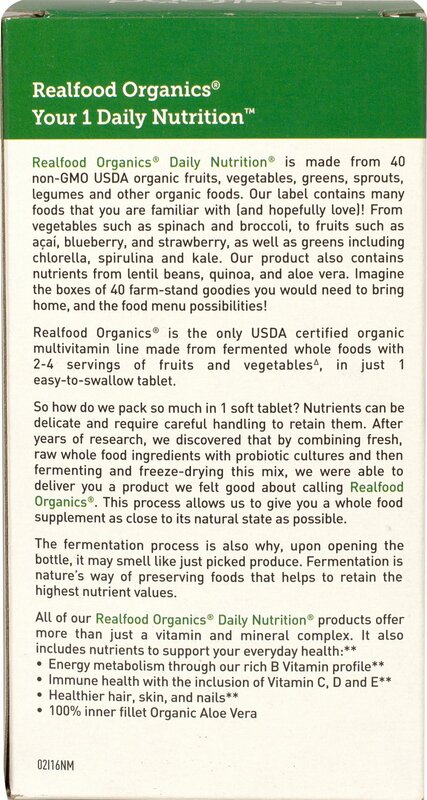 After years of research, we discovered that by combining fresh, raw whole food ingredients with probiotic cultures and then fermenting and freeze-drying this mix, we were able to deliver you a product we felt good about calling Realfood Organics®. 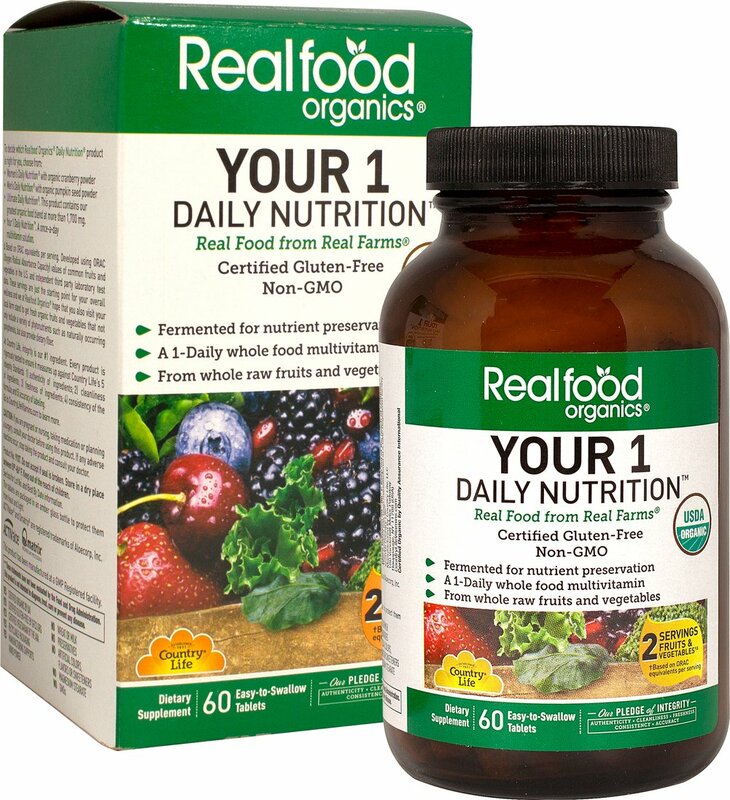 This process allows us to give you a whole food supplement as close to its natural state as possible. The fermentation process is also why, upon opening a bottle, it may smell like just pickled produce. Fermentation is nature's way of preserving foods that helps to retain the highest nutrient values.